I've had fun making "Summer" buntings for my family room. I'm hooked on them! I know I have already shown you a couple of them, but I thought I would explain how I made them and show you a couple of more. You've already seen my "Summer" bunting on my "Ode to Summer" beachy mantel. I think this is my favorite bunting. And so simple to make. I knew I wanted to make a bunting out of maps. Problem was, I didn't have any maps. I looked at thrift stores for a couple of weeks. But no maps! I was about to make a trip to my local AAA office to see if they still gave out maps. But before I drove 20 miles, I thought I might check under the seat of one of our cars to see if I could find one. But before I could unlock the door to the car, my neighbor Rox was walking by with her cute little doggy Bandit. We got to talking and low and behold, she says, "I have some old maps you can have". So we hightailed it to her house and she gave me 3 or 4 maps. I used the California state map to make this bunting. Cause I live in California. Now I just needed some letters to spell out Summer. I wanted the letters to be red. So I looked through all the images I have saved on Picasa. And lucky me, I found some that would work perfectly. 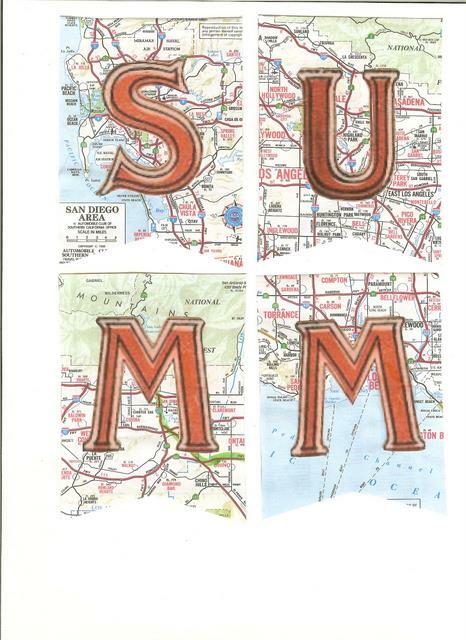 I cropped the letters I needed to spell "Summer" and saved them in Picasa. Then I printed them out onto card stock and used my good old fashioned scissors to cut out each letter. I think my Silhouette machine would have been faster. But I still haven't gotten it out of the box to figure out how it works. And I've had it since Christmas. And now I hear they are already coming out with a new machine. Yikes! I better get mine out & use it before it becomes too ancient. I cut six rectangle shapes from the map. I can't remember the size, I used the folds in the map to guide how wide I wanted each piece. I then glued a letter on to each piece. They I cut the bottom in a dovetail. I almost cut it the wrong direction. Luckily for me, hubby was watching me make it & he helped me to avoid a disaster. Punched 2 holes at the top (one at each end) and strung them onto some twine. And it was done. 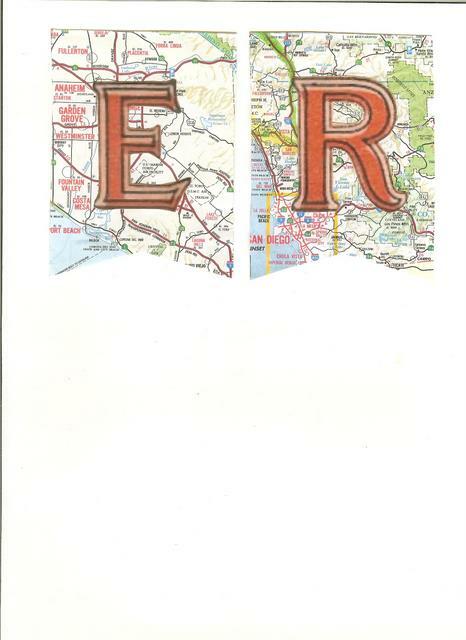 But before I punched the holes & strung up the letters, I scanned them just so I could share them with you. Now keep in mind, that I cut everything free hand. No fancy paper cutters. Just me and a pair of scissors. So they might be a little crooked. Plus I winged it on the placement of the letters. I'm not into perfection. So if you are, you might just want to make your own. This is for all the lazy gals out there, just like me. And now for a bunting I haven't shared yet. It hangs from the chicken wire frame that sits on this little cabinet at the end of my kitchen cabinets. Whew! That was a long sentence. These are actually scrapbooking cards I found. They are from a company called October Afternoon. And this series is called "Seaside". I love all the scrapbooking paper, etc this company makes. Everything has such a "Vintage" feel. I used mini clothespins from Walmart to hang them from Dollar Tree string. Here is the link to October Afternoon website and the "Seaside" papers. And another bunting I have yet to share. This one is on my china hutch. These flash cards came from the same company as the other cards. And are part of the "Seaside" series as well. I just love flash cards. Except they remind me of school. And you know how I hate school. Maybe if we just learned about the beach in school, it wouldn't have been half bad. Or better yet, have school at the beach. Now that's a great idea! And finally I'll share one last summer bunting. I have already shared this one with you as well. A triple layered one on my Gothic mirror. 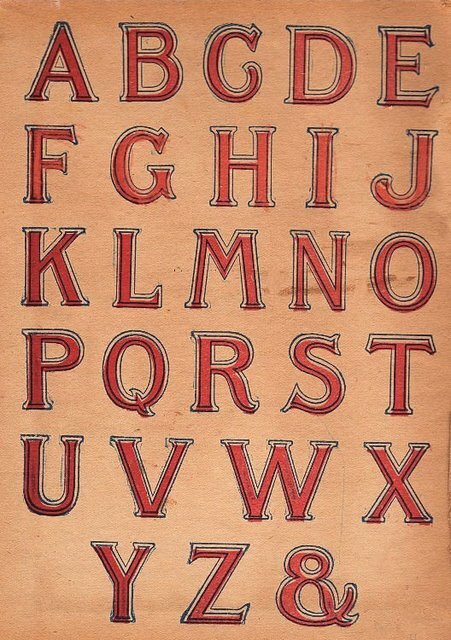 All of these images (except for the bottom 3) I found on the Internet by Googling either Vintage Beach or Vintage Seaside. The one on the left is a vintage photo of the Hotel Del Coronado. I Googled Vintage Hotel Del Coronado for this one. I grew up in San Diego County and have always loved "The Del". So I wanted an old photo of it to use in this bunting. I made a "pdf" file of all these photos on one page. But I don't know how to put on blog. So my son made me a link. Click "here" to be taken to the "pdf" I made if you want a copy. These last 3 images I found on "Pinterest" by searching for vintage beach. 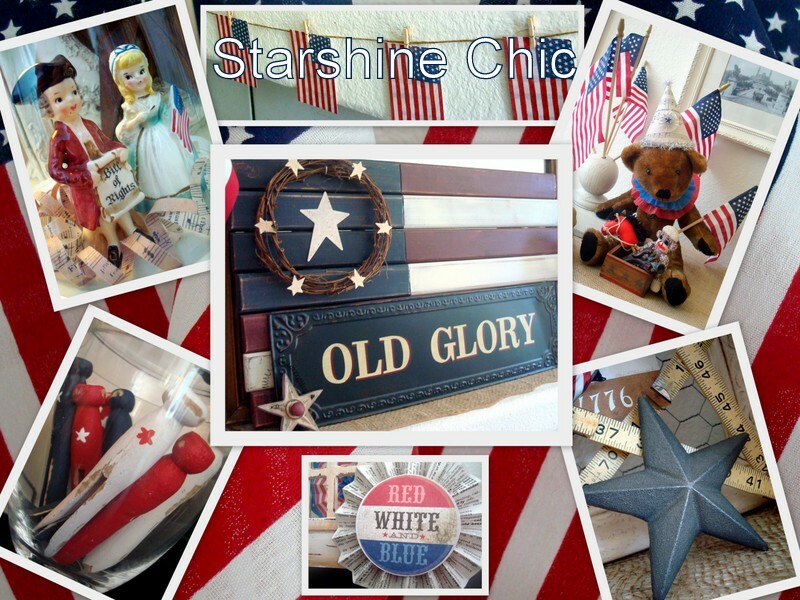 I'm still new to Pinterest, but having lots of fun. If anyone still needs an invite to join, let me know & I'll be happy to send you an invite. And there you have my "Summer" buntings. They all were quick, easy & cheap to make. My kind of projects. Are you still enjoying Summer? Or are you ready for "Fall" to arrive? I'm almost ready for "Fall" to arrive. Except the weather is telling me it's still Summer. And it will be Summer here in SoCal at least until the end of September. August and September tend to be our hottest months (at least where I live in the Inland Empire). I guess I will just have to hang out at the pool and stay inside with the air conditioner on and pretend it is getting cool enough to decorate for Fall. Everything looks so light and summer-ish. I was just thinking, I love to collect things that remind me of home...beach, river, shells, oranges, pineneedle basketry etc. I should make a bunting and decorate my hutch with Florida summer memories. I love this idea Kim! i just ADORE what you've done with your summer mantle. merci for the "pdf". this is soooooo lovely! I love all the buntings! Those cards are so cute! Especially with the little kids! And YES get that Silhouette out of the box!! I got one for Christmas too, and I use the heck out of that thing!! I was afraid to but knew it's potential! I don't have the patience to cut stuff out! It's insane how you pull all these adorable things together! I mostly love the old photos,... must be because i'm old enough to have some memory of the whole look... yikes! Love your map bunting and how your project just fell into place! ADORE that fabulous panoramic picture of vintage bathing beauties! Fun post -- makes me want summer back! Thanks so much for sharing the pictures.